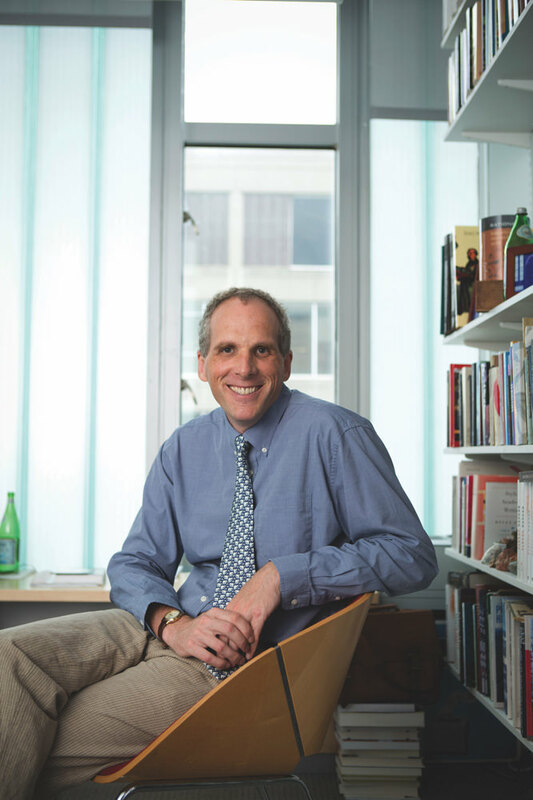 David Jones, Ackerman professor of the culture of medicine, is concerned that personalized medicine could lead to higher levels of inequality in healthcare. Many people fear that drug prices will start to increase dramatically. “A lot of that fear is driven by oncology drug costs,” he points out. A new leukemia drug, for instance, has been priced at $475,000 per year. “If increasing drug costs lead to higher Medicare and Medicaid costs, such that the government has to reduce access and shrink the pool of people who benefit from these programs, then these expensive new cancer drugs could actually cause harm, because they would have contributed to some people losing access to health care. And those are people who could suffer if their easily treatable diseases don’t get treated.” (For more about Jones’s work, see “A Cardiac Conundrum,” March-April 2013, page 25). Jones also brings personal skepticism to his assessment of precision medicine. More than a decade ago, he was diagnosed with a gastrointestinal stromal tumor (GIST). There was tremendous excitement at the time, because doctors had just realized that most GISTs were dramatically susceptible to one of the first of the successful new targeted cancer therapies, imatinib (Gleevec). But Jones was among the 10 percent of patients who lacked the mutation that Gleevec targets. Since GIST is not susceptible to either chemotherapy or radiation, his only option was an ancient one: surgery. Luckily, that seems to have worked and he has been cancer-free since then. Although Jones was in the minority of GIST patients who could not benefit from imatinib, his situation is actually typical for cancer patients at present: most don’t benefit from the new personalized therapies, either because their cancer is driven by unexplained biology, or because a targeted therapy has not yet been developed for their form of the disease.